ResMan, the fastest growing online property management software announces Greg Demski, a proven leader in the multifamily industry as Senior Vice President of Sales. Very rarely do you get to see a company like ResMan that comes into a space with such a high level of enthusiasm and a commitment to excellence. ResMan®, provider of online property management software and services to the multifamily housing industry is pleased to announce the appointment of Greg Demski as the Senior Vice President of Sales. Demski is a proven leader with a reputation for driving growth and a sincere commitment to providing quality to customers. In his role, Demski will assume the responsibility of managing sales force productivity and developing a sales strategy to secure market share. 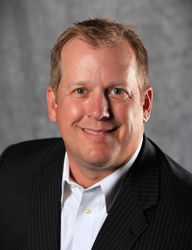 An expert in managing sales teams, Demski joins ResMan from RealPage, Inc., where he most recently served as a Vice President of Sales. “It is a unique time in the multifamily industry. Very rarely do you get to see a company like ResMan that comes into a space with such a high level of enthusiasm and a commitment to excellence. The focus on a seamless, integrated solution and the customer experience is exciting to be a part of, and I think people are open and accepting of the change happening in the industry,” stated Greg Demski. Originally from Tulsa, Oklahoma, Greg Demski attended Oklahoma State University in Education. He enjoys playing golf, watching Alabama Crimson Tide football, and spending time with his three beautiful daughters. ResMan® provides cloud-based property management tools that enhance productivity and profitability for multifamily housing operators and owners. The SaaS provider focuses on Service First in everything, with intuitive software and an industry leading customer experience. Built on a single platform, ResMan® delivers a highly intuitive solution to meet both operational and accounting needs for the multifamily owner/operator. ResMan® offers solutions for conventional multifamily and student housing providers, as well as on open API actively promoting a best-of-breed solution to meet each customer’s unique needs. To learn more visit http://www.resmancloud.com, or call us at (855) 737-6261.